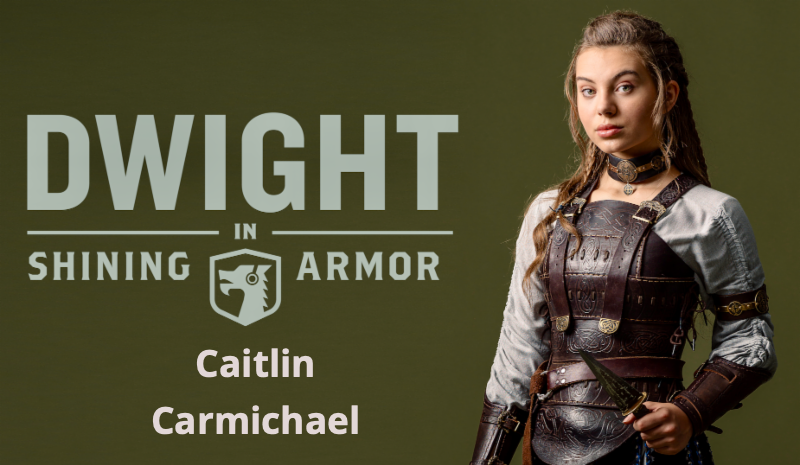 "Dwight in Shining Armor," a TV adventure comedy series , premieres Monday starring Tifton native Caitlin Carmichael . The new family series is at 9:30 p.m. Monday on BYUtv , which can be found among the higher channels on cable and satellite television. Carmichael , 14, plays Gretta , a medieval warrior princess awakened by an accidental kiss from Dwight , a modern-day teen who becomes Gretta's unlikely champion protector. 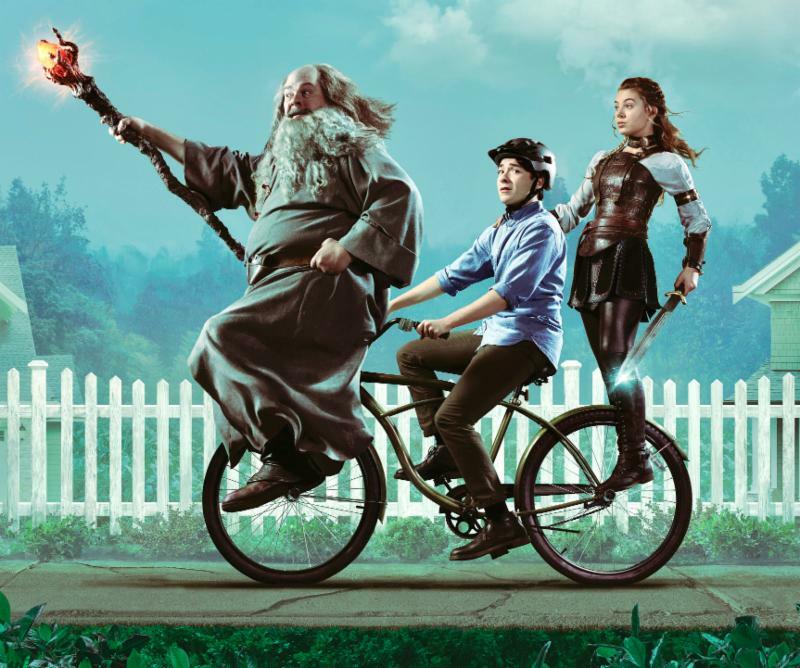 As BYUtv explains: "After Dwight , a 21st century teen , falls into an ancient, underground chamber , he awakens a warrior princess , her court magicians and many medieval villains that have been sleeping for a thousand years . Consequently, he is now spellbound to protect the princess from her hordes of enemies ." The 30-minute commercial-free series takes place in a modern suburban town . The series was filmed on location in Utah . "I'm so excited for the world to meet Princess Gretta ," Carmichael told the Tifton Grapevine. "We had a blast filming 'Dwight in Shining Armor,' and I hope you love it as much as I do. Thanks for watching ." People magazine named the show No. 8 on its best new shows to watch after the show's cast, creators and BYUtv executives were on a panel in front of more than 400 TV critics during the winter Television Critics Association meeting recently in Pasadena, Calif. The Tift Regional Medical Center (TRMC) Foundation’s annual Hearts & Diamonds Gala on Saturday will honor the late Dr. John H. Dorminy III . 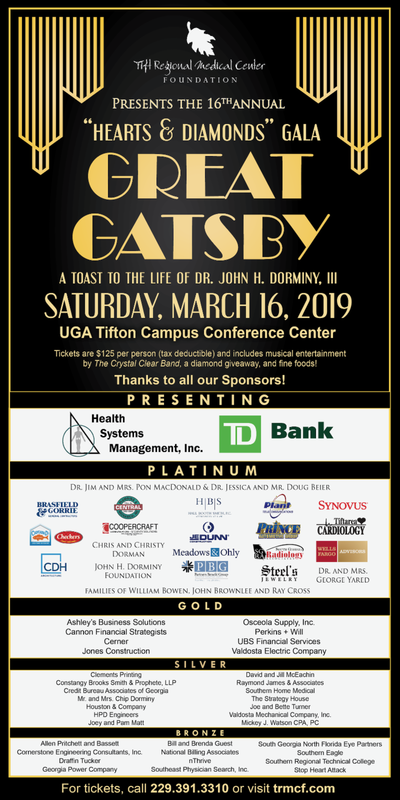 With a "Great Gatsby" theme, this year’s event will be 7 p.m.-midnight March 16 at the UGA Tifton Campus Conference Center. 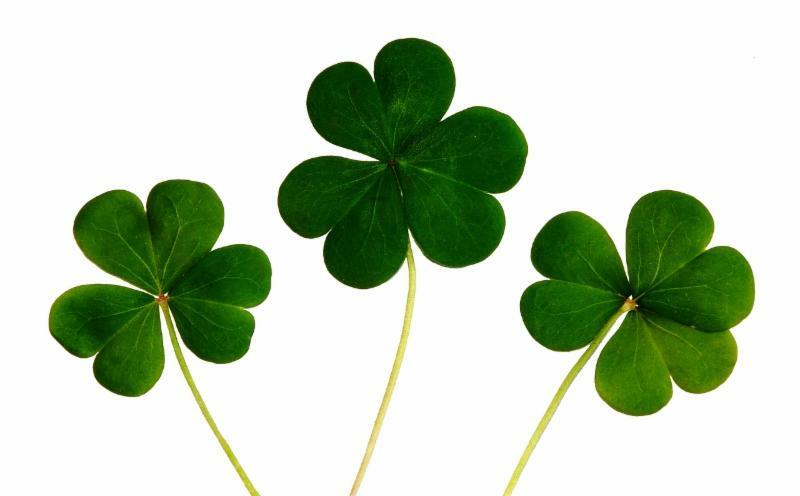 “The gala will include fine food , live music with the Crystal Clear Band , dancing and a diamond giveaway ,” said Mandy Brooks , TRMC Foundation executive director. 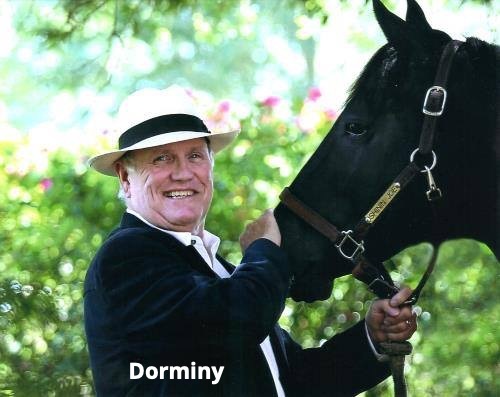 Brooks said Dorminy , who died in 2016 , was a respected obstetrician and gynecologist who co-founded the TRMC Foundation and served as board chairman from 1994-2015 . 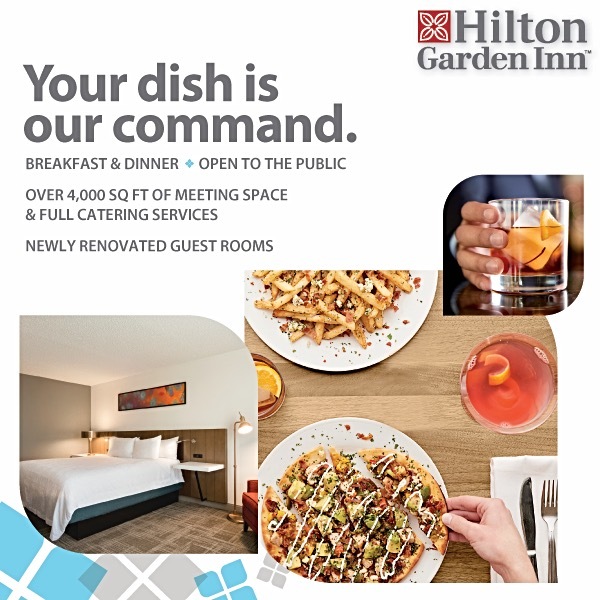 For information on the gala, call 229-391-3310 . Rush Propst , one of the winningest football coaches in Georgia's largest high school classification, was unanimously fired Thursday during a Colquitt County School Board meeting. The school board in Moultrie gave no details about its decision and said the matter is being handled by the Georgia Professional Standards Commission . 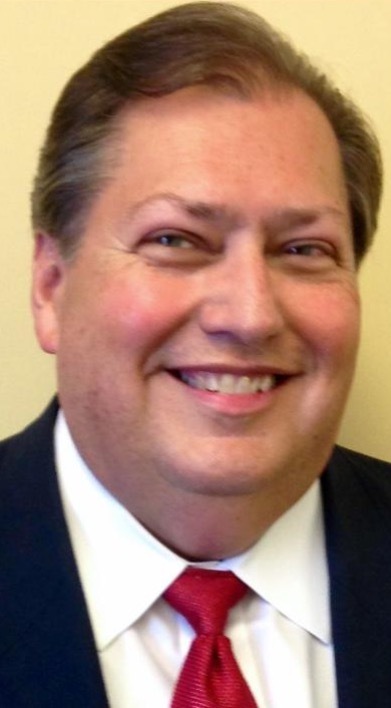 The school board previously suspended Propst on Feb. 26 pending an internal investigation into personnel issues . Propst’s Packers won state titles in 2014 and 2015 with 15-0 records and was the Class 7-A runner-up in the past two seasons. His Colquitt County record is 119-35 in 11 seasons. 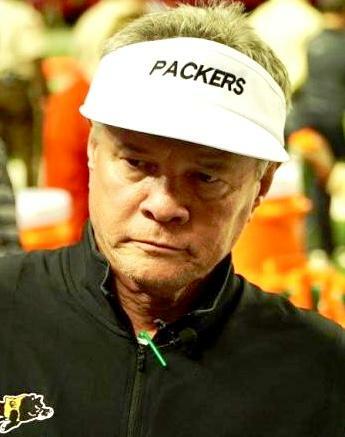 Propst , 61, previously won five state titles while head coach at Hoover, Ala. He received national attention on the MTV series ‘’Two-A-Days,’’ which followed his teams during the 2005 and 2006 football seasons. According to reports in Alabama news media, there were allegations of grade-fixing and recruiting violations while Propst was head coach in Hoover , but Propst was not formally implicated. He did resign from Hoover in 2007 , admitting to an extramarital affair and denying any professional wrongdoing . 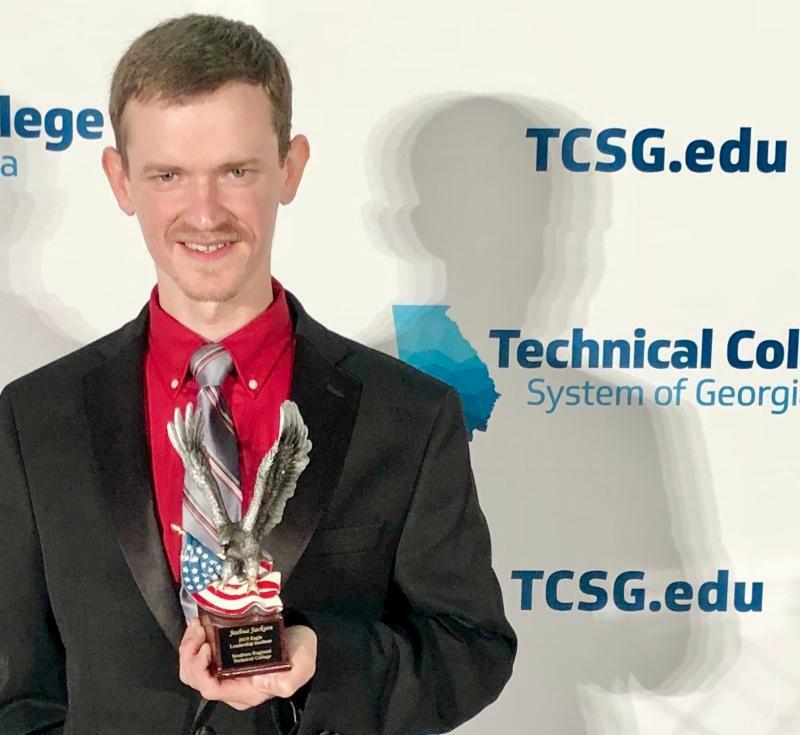 The Technical College System of Georgia on Wednesday named Joshua Jackson of Tifton as first runner-up Exceptional Adult Georgian in Literacy Education (EAGLE). Jackson was chosen among 26 top candidates form around the state. The EAGLE program celebrates adult learners who have demonstrated exceptional achievement in statewide adult education classes. Jackson represented the adult education program at Southern Regional Technical College (SRTC) during this week’s state EAGLE Leadership Institute in Atlanta . Jackson overcame a childhood bereft of educational opportunities by taking part in the free GED program at SRTC-Tifton . He spent two years attending day and night classes as well as the online program while still working . As runner-up , his prize includes a $1,000 scholarship in support of his ongoing scholastic pursuits. Tifton's Leroy Rogers Senior Center is hosting a Kidney Disease Community Forum from 6-8 p.m. March 25 with Dr. Melissa Rampal and Dr. Rehan Shah. Shah will discuss awareness, prevention and treatment of kidney disease and also focus on hemodialysis and peritoneal dialysis. Rampal will address transplantation. The free event, sponsored by Tift Regional Medical Dialysis Center in honor of National Kidney Month, includes a complimentary meal. 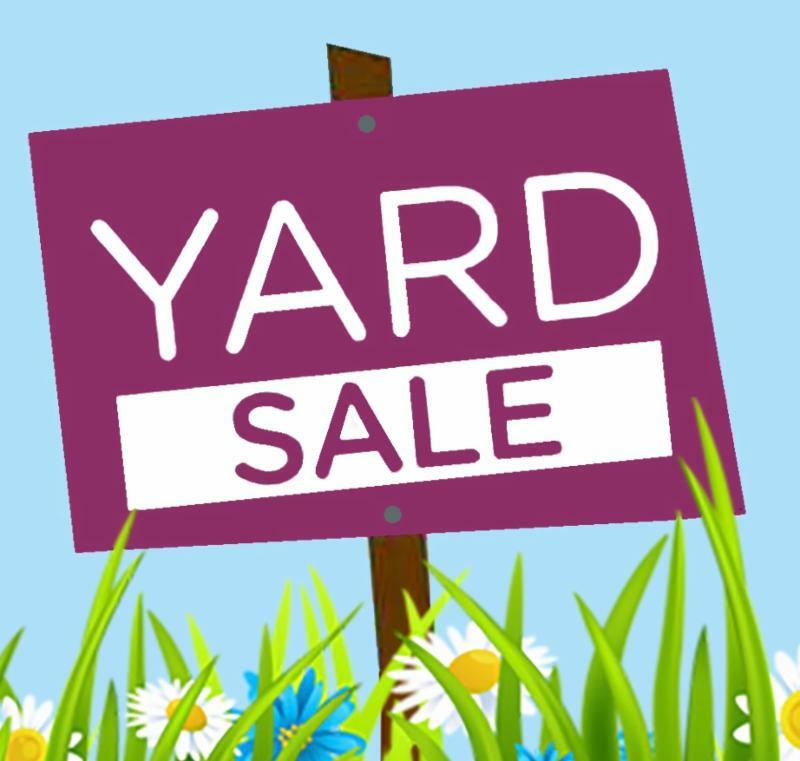 But seating is limited, and registration is required at 299-353-6350 . "Parents Against Predators: Break the Connection" is a free education event for children and parents about dangers of the Internet . Sponsored by the Alliance for Children , the session at 7 p.m. Thursday, April 4 , will be held in the ABAC Health Science/Nursing Building . Lt. Eusebio Talamantez of the Panama City Beach Police Department will lead the discussion about online predators and what parents need to know . Children ages nine and up are also welcome to attend to learn about cyberbullying, sexting issues and dangers online . 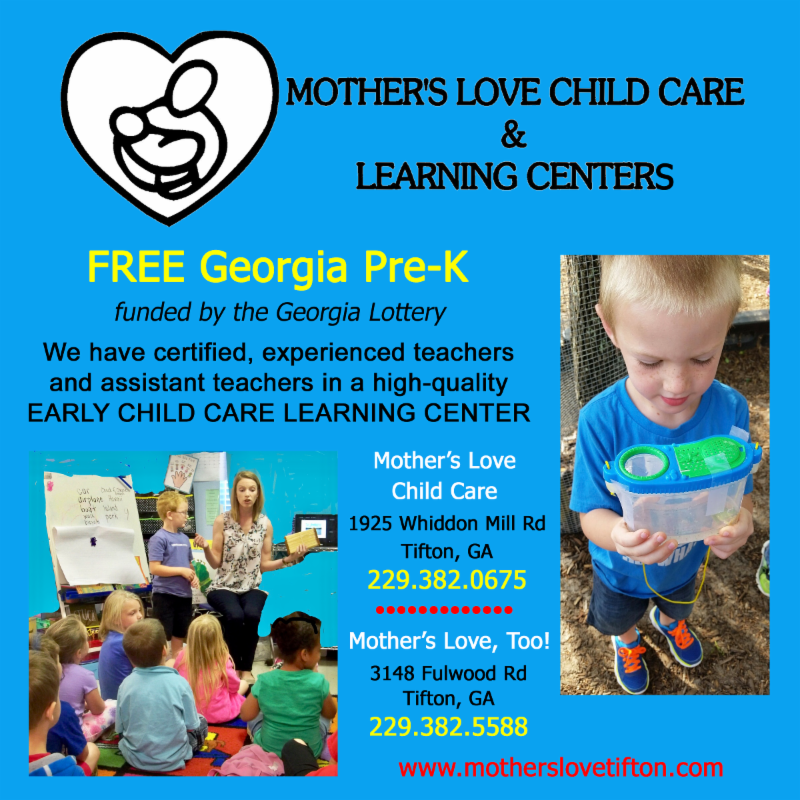 For information about the free session , call 229-382-4141 . The event is during the evening following the Alliance for Children Training Summit , scheduled earlier that day . That training at Northside Baptist Church is designed to offer information and tools for people who work on behalf of abused children in the Tifton Judicial Circuit . There is a fee for that all-day training . Catherine Wilson reads to children at the Dixie Street Apartments after the GFWC Tifton 20th Century Library Club erected Tifton's first Little Free Library there. 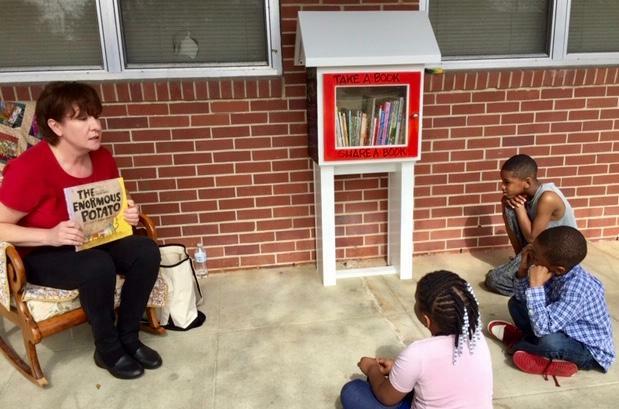 Appropriately, the GFWC Tifton 20th Century Library Club installed its first Little Free Library on Saturday, March 2, at a celebration of Read Across America Day and Dr. Seuss’ birthday. Debbie Thompson, Catherine Wilson and other club members read books to children at Golden Homes, Dixie Street Apartments near Eighth Street Middle School. 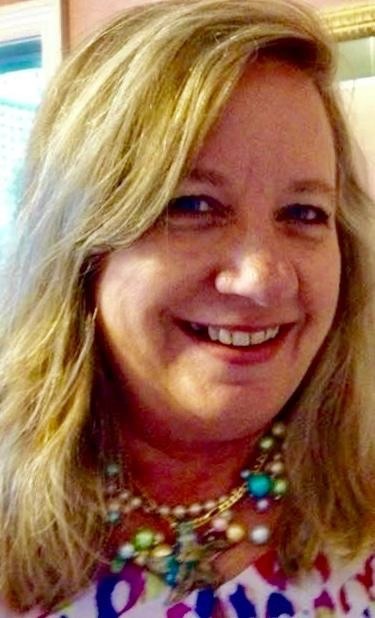 Sandi Newman told the club at its meeting Tuesday that she watched for an hour after the event as children took books home and brought them back to trade for another book. 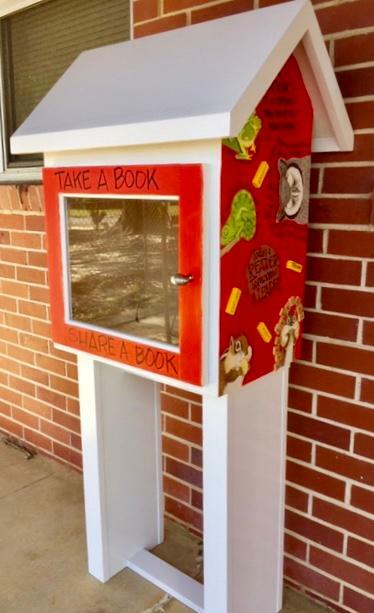 The children are allowed to keep books as long as they like and return them whenever they wish to the Little Free Library (LFL ). The club's " LFL" was built by Debbie Thompson's husband and painted by Susan Saye. LFLs are nationwide projects of the General Federation of Women's Clubs . 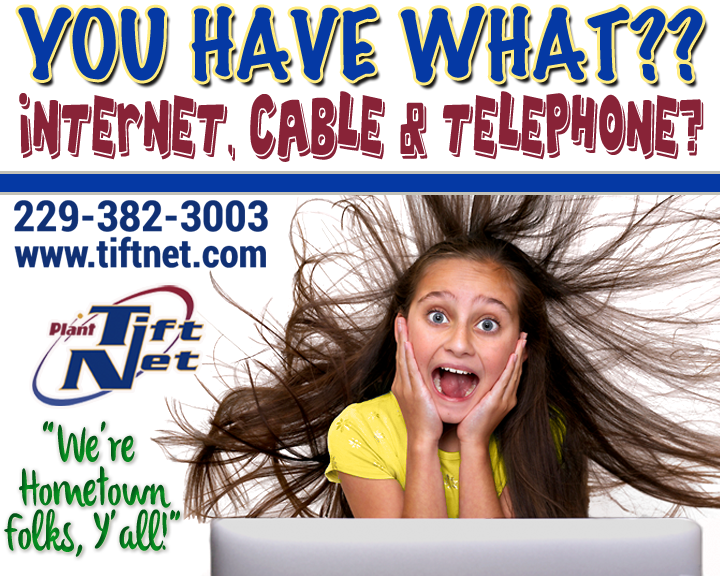 The Tifton club meets the second Tuesday of each month at Leroy Rogers Senior Center . 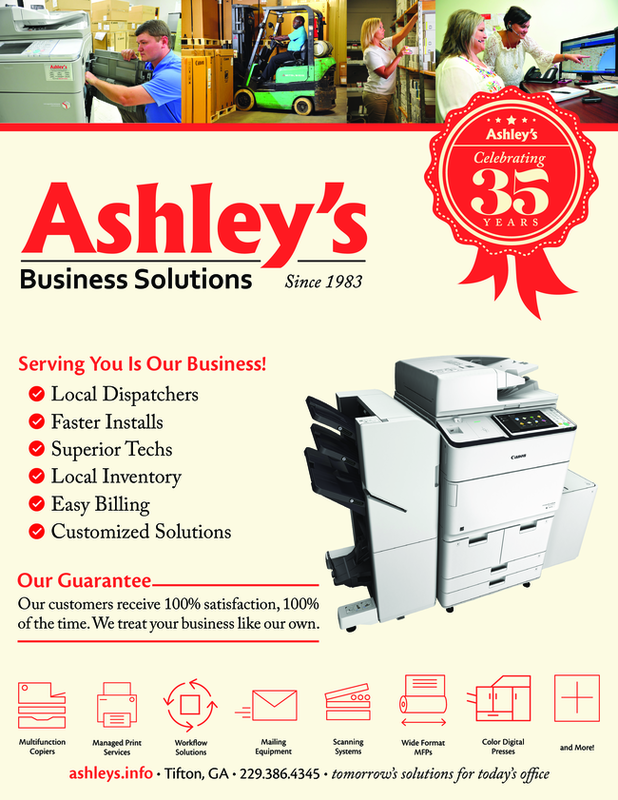 For information , call President Shirene Daniell, 229-392-4060 . 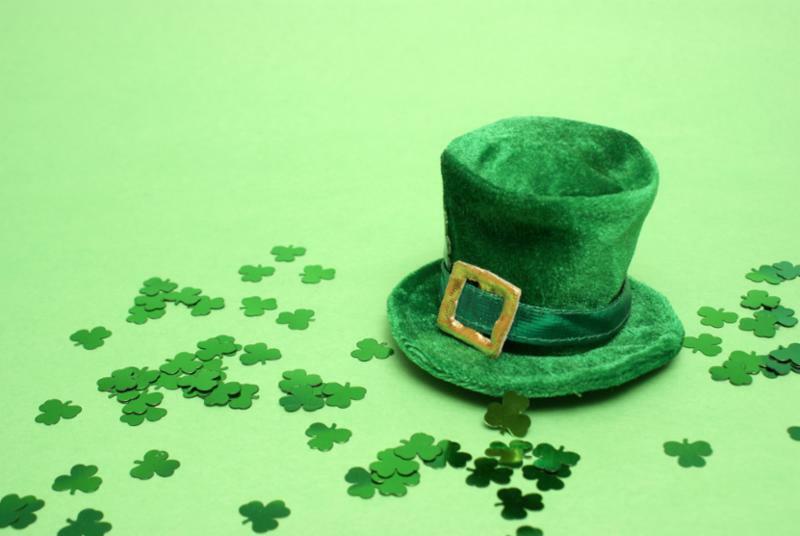 BETTER WEAR GREEN: SELF ( Seniors Enjoying Life Forever ) is having a St. Patrick's Day dance, 6 p.m. today (Friday) at the Leroy Rogers Senior Center in Tifton . Participants are asked to bring a covered dish for dinner. The Fred Hand Band will be performing. 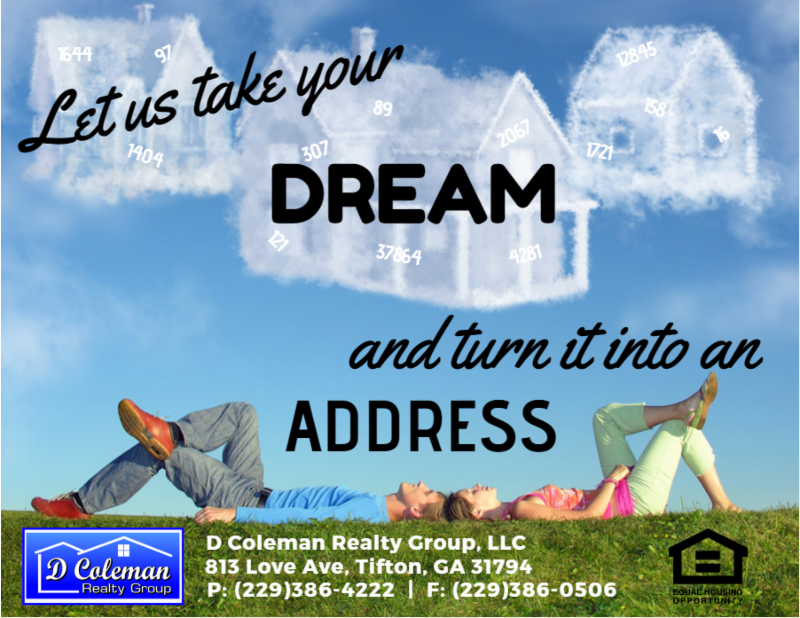 For information , call 229-873-3097 . .... MOBILE OFFICE: Congressman Austin Scott , R-Tifton, will be having mobile office hours throughout the district in the coming weeks. 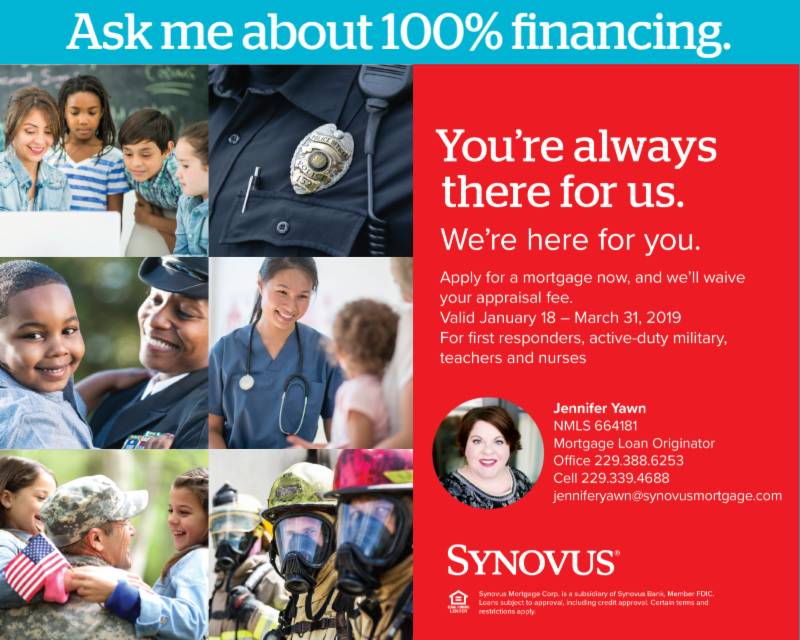 Among the locations are: Sylvester , April 2, 2-4 p.m. , Worth County Margaret Jones Library ; Fitzgerald , April 3, 2-4 p.m. , Ben Hill County Library ; Nashville , April 9, 10 a.m.-Noon , Carrie Dorsey Perry Memorial Library ; Adel , April 9, 2-4 p.m. , Cook County Library . 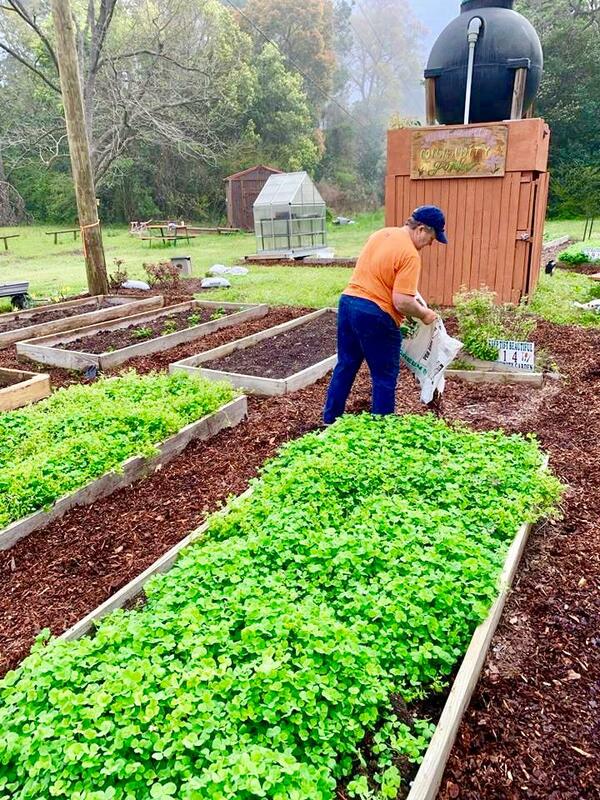 Local volunteers joined forces recently to spruce up the Keep Tift Beautiful (KTB) organization's Community Garden on North Central Street . 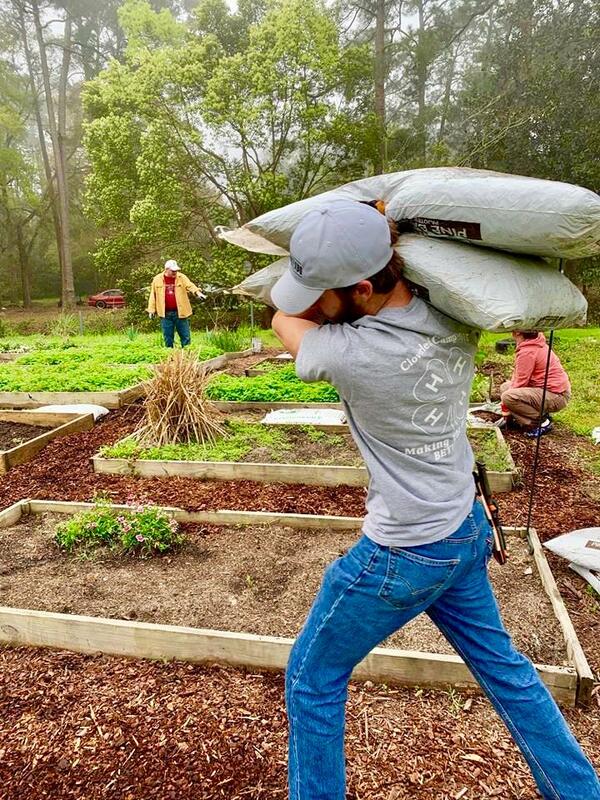 ABAC Gives Back volunteers Luke Guy, Huck Smith, Gage Lokey and Addison Jones rolled up their sleeves along with KTB volunteer gardeners , who included Randall Mathis, James Mathis, Penny Peters, Lori and Jimmy Felton, Brad Barbee, Tim Nelson , and Karen Shultz . The result was a much improved garden area for the community . Dr. Celestine Nnaeto , a new internist and sports medicine physician with Georgia Sports Medicine of Tift Regional Health System , spoke to the Tifton Rotary Club on Wednesday. He was formerly assistant program director for St. Luke's University Health Network Sports Medicine Training Program in Pennsylvania . He said his focus is to provide care to patients of all ages, specializing in nonsurgical treatment of sports and non-sports injuries including knee pain, shoulder pain, ankle pain, hip pain, back pain, neck pain, arthritis, sprained wrists, other sprains and more. 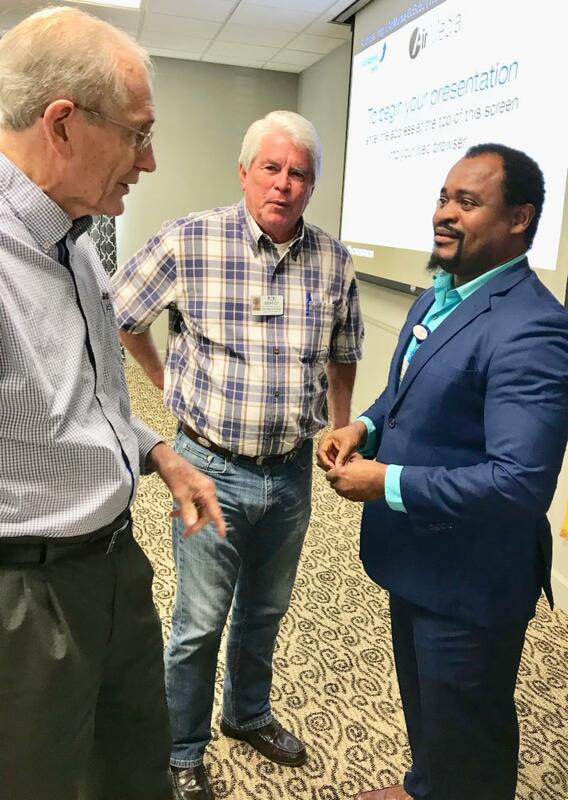 In the photo, Nnaeto, at right, speaks with Rotarians Dr. Joe Turner, left, and Ron Branch.